Last week, I offered a sampling of the 1809 Hedge House’s North Chamber furnishings, featuring the commode and the Knapp Bedstead. 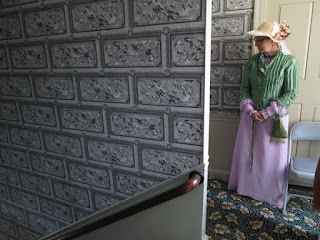 I was particularly taken with the wallpaper—in this and many other parts of the house. Jennifer Jansen of Historic Locust Grove very kindly contacted me to offer more information and a link to Adelphi Paper Hangings, which makes the the historically accurate wallpapers we can see at Locust Grove, the 1809 Hedge House, and other museums and historical sites. 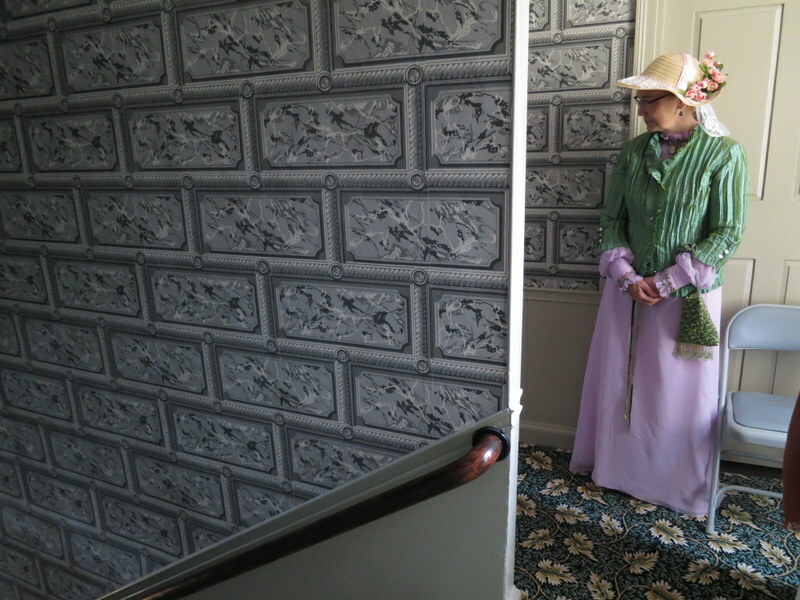 The wallpapers are based on surviving materials in historic houses and collections. Clicking on Catalog will allow you to explore the stories behind Adelphi's historic wallpapers, which range from the mid 1700s to the early 20th century. This includes information about the Bamboo and Drapery wallpaper we saw behind the commode. The Plymouth Stripe and Vine I loved because it was pink. The Plymouth Ashlar paper appears in the halls, and does seem like stone in certain lights. 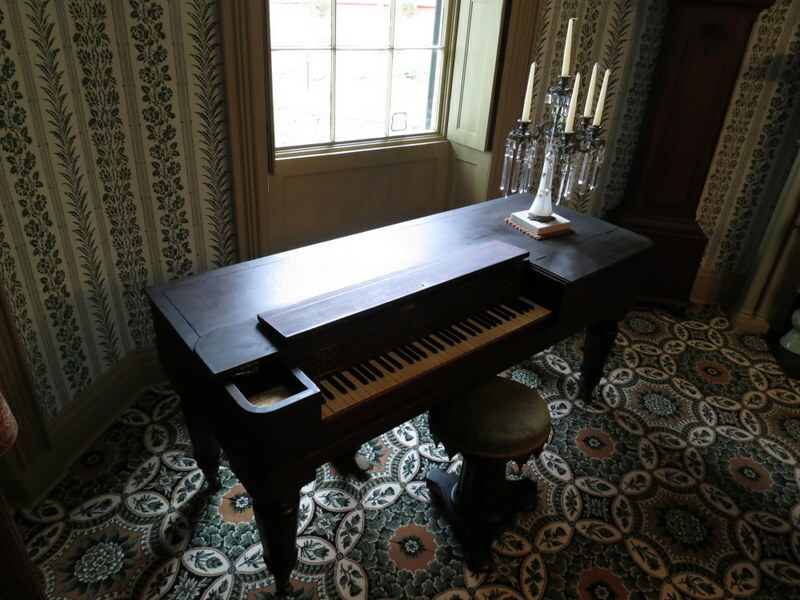 The photo above of the parlor piano shows the dramatic play of wall covering and floor covering in natural light. The wallpaper looks to me like Plymouth Stripe and Vine, but in green. 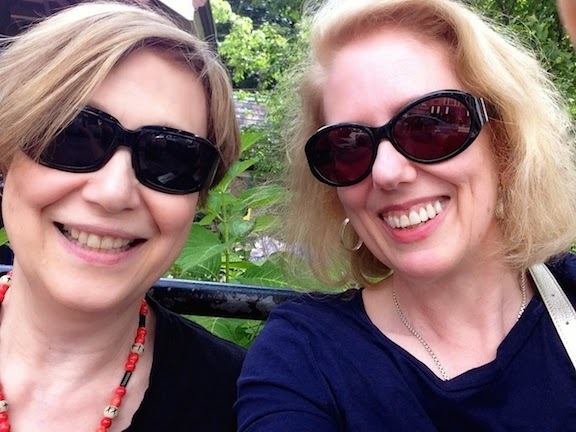 However, I'll let the wallpaper experts enlighten us, if they wish. That stripe and vine would make a great quilting fabric. Love the colors!